The Houston skyline ornament designed by Kasia McCormick and dom itp. If you look hard enough, you can find Christmas ornaments for everything—trust me, I've googled it. 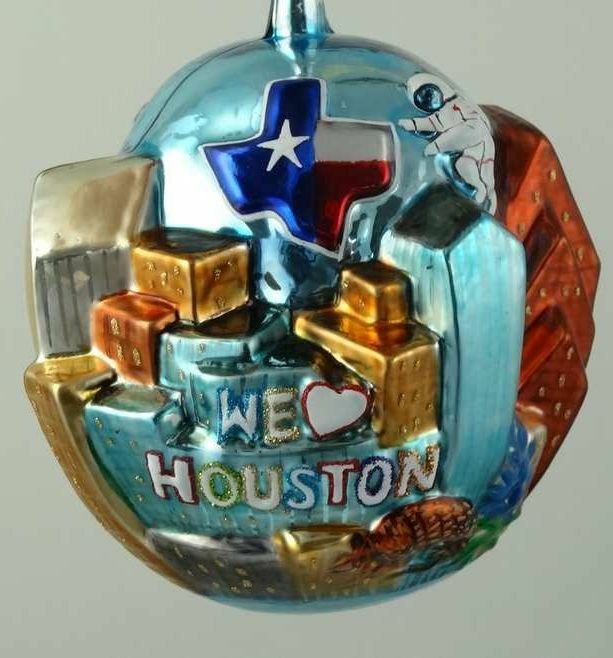 But one thing that's surprisingly hard to find is an ornament that combines Houston spirit with Christmas spirit. There's one from the NFL Shop of J.J. Watt as an elf—now that's an elf on a shelf we can get behind—and a few basic options on Etsy, but that was about it—until a Chicago business selling Polish goods got in the game. Kasia McCormick was still little when her Polish-American family began importing items from their homeland to their adopted home of Chicago, which has a thriving Polish community. 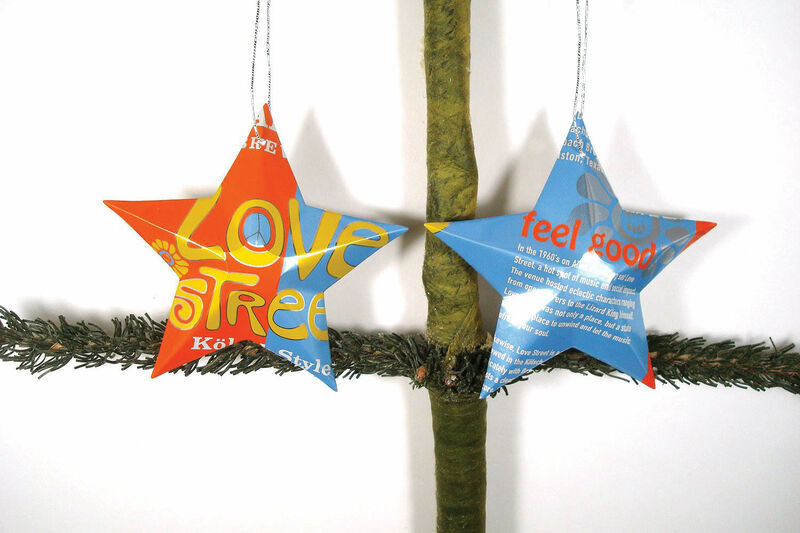 Their company, dom itp, now has a handful of locations around Chicago and is particularly known during the holiday season for its Chicago-themed Christmas ornaments, among others. "What a lot of people don't know is the vast majority of hand-blown ornaments on the market are from Poland. Christopher Radko, who is famous for his collectible ornaments, his factories are in Poland. 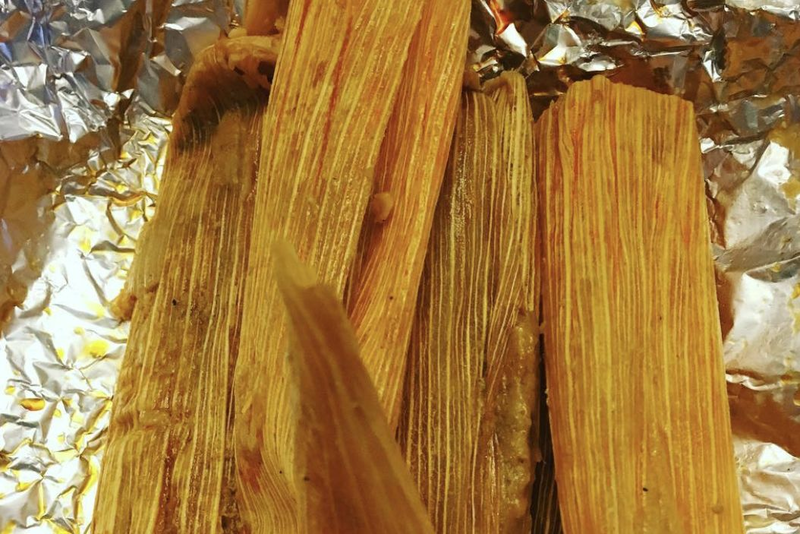 There's a rich tradition—everything is mouth-blown and hand-painted," says McCormick. Now, seven years after McCormick adopted Houston as her new home, she's designed a Houston ornament to add to the dom itp line for the first time. "I tried to find similar things in Houston, and there's nothing like it, so finally I was like, 'Let's just do it ourselves,'" she says. 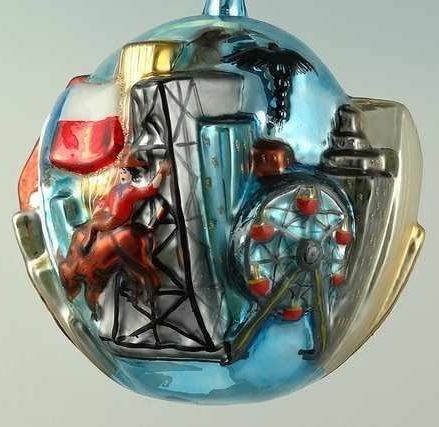 The round ornament ($39.99) features a raised downtown skyline and other H-Town specific landmarks, including an oil derrick, a cowboy, bluebonnets, an armadillo, and an astronaut, not to mention the famous David Adickes "We [Heart] Houston" sculpture. Though that might sound like a lot, it all works together and has a certain hand-made imperfection that lends it extra Christmas charm. Five more Texas-centric ornaments are available on the website, including a Houston suitcase, a pickup truck and a Lone Star boot so your tree can be fully infused with Texas spirit. 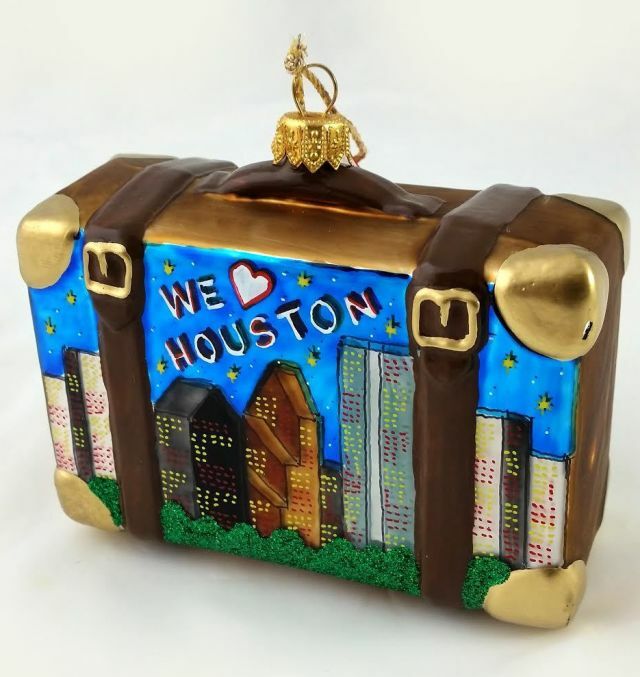 The Houston suitcase is another custom ornament design. McCormick intended to debut her ornaments at the Nutcracker Market in 2015, but had to back out when the event was too close to her due date. 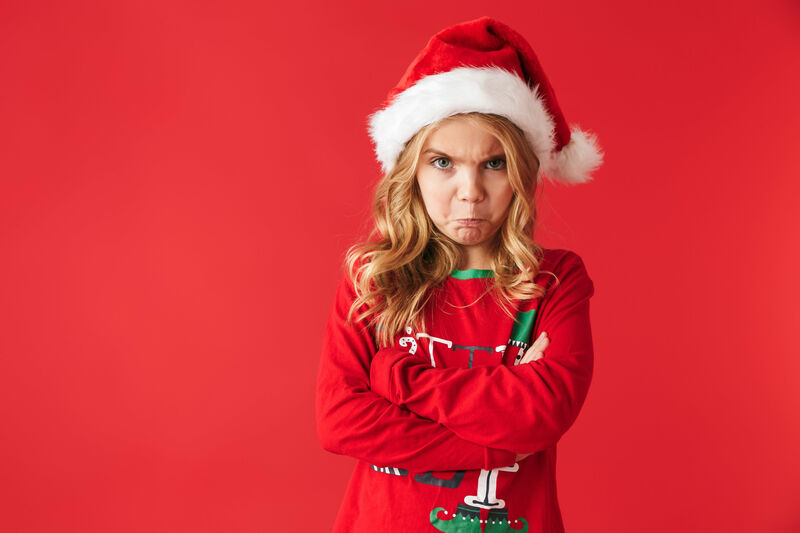 Instead, she produced a limited run of 100 Houston skyline ornaments and posted about them in her Houston mom Facebook group—and sold out before the end of October. This year dom itp produced a second run, and its website is the only place to buy these unique ornaments. McCormick notes they are great for Newstonians and natives alike. 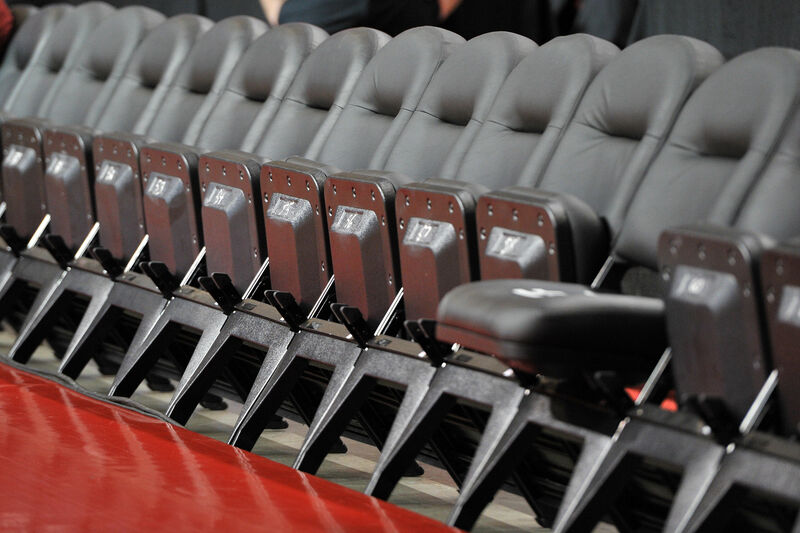 "It's so much fun for us to keep expanding our line. ... We love Houston, we're staying here, so I'm glad we made the ornament."